Serving as the first point of contact for customers seeking technical assistance is not an easy job. What is more, corporations expect the help desk technicians to be always nice, courteous, and to simply offer a perfect customer service experience–each and every time they receive a call (or an email). Bearing it all in mind, you can expect a difficult interview. The HR managers will test your IT skills with technical questions, and your customer service skills, and attitude to work and to other people with behavioral questions. An end user calls you that their computer is very slow for the last three days. Describe the process of troubleshooting. What would motivate you in this job to deliver an excellent service day in day out? Imagine a simple customer, someone who struggles to understand even the very basic instructions you give them. What would you do in such a case? Do other people enjoy talking to you? Are you a good listener? Can you explain technical things in a simple way? HR managers will try to understand all of that while talking to you in an interview. Your goal is to convince them of both your technical and soft skills. If you fail to do so, they will not hire you for the job (unless you are the only candidate, they need someone desperately, and do not have any other choice). Let’s have a look at some common questions right now, and a short hint on how to answer them. Recall a situation when you were unable to solve the problem, and the final user ended up extremely unhappy about your suggestions, and assistance. You should admit that you make mistakes in your work, and show the interviewers that you actually learn from your mistakes, and that they help you to become a better help desk assistant. If you apply for your first job, you can talk about a bad experience you had while calling someone from technical support (while you had a problem with internet connection, mobile phone, TV set, anything). Try to explain how this experience helped you to understand the job, and what is expected from a good technician. The key is to show them that you follow some system in your work, that you won’t just start giving them random suggestions. Say that you will use a method of questions and answers while trying to identify the problem, and later solve it, step by step. The questions you will likely ask the user in this case are questions about programs they installed/uninstalled before the problem occurred, you may ask them to check the memory load in the task manager (explaining them how to open the task manager), you may ask them to restart the computer, etc. First of all, you should emphasize that you always try to avoid conflicts with the users. If a conflict happened, however, say that you would try to understand the customer–their point of view, and explain everything in a language they’d understand. What is more, you should say that you understand the importance of customer service (and the things the customers can do, if they aren’t satisfied–bad reviews, terminating their contract, changing the provider, etc), and therefor you will never shout on a customer. 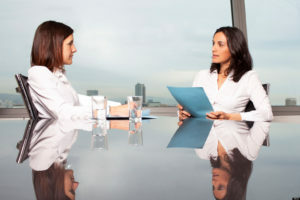 Tell the HR managers that you would try to stay courteous–regardless of the words the person on the other end, regardless of your mood or feelings. 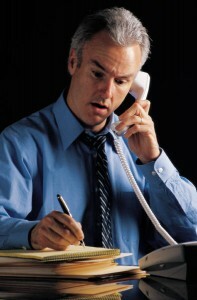 This is not an easy job, and everyone can get tired, or irritated, sitting on the phone for eight hours a day. But you can at least try to convince the interviewers, saying that you like the nature of the job, that you love helping other people with their computers. Alternatively you can say that programs and systems do evolve all time, the problems of end users differ, and that the ever-present change and diversity of this job motivates you. At the end of the day, you can go with an honest answer, saying that you need a steady job and income, and understand that a bad performance (over a longer time period, or regularly) will result in terminating your employment contract. Since you can not afford that, you will do your best to get over difficult periods, and stay motivated every day. You can say that you would try to use a very simple language, comparisons, charts and tables, if possible, to demonstrate what they should do. And if that did not help, you would send a technician to the place, to solve the problem on-site. One way or another, you should show your willingness to go an extra mile for your customer, using all possible means to get your message over. Why did you leave your last job, and why you think help desk will be better for you? Tell us more about your previous experience. Why should we hire you, and not one of the other dozen applicants who try to get this job of a help desk technician? knew that they were wrong. How did you handle that? What are your weaknesses? Don’t you think they’d limit you in this job? Describe a time when you were tempted to start a relationship with your colleague (or a client, or a customer). Tell us more about your education, and how it relates to help desk. If you experience anxiety, or have no clue how you’d answer the questions, you should have a look at our Interview Success Package. 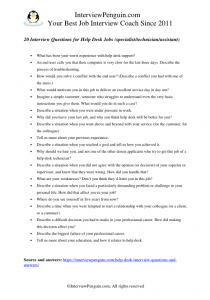 Brilliant answers to all difficult interview questions will ensure you’ll succeed in your interview. How to dress for an interview – Four rules to consider when choosing clothes to wear.